In the twentieth century, men toiling in British and American coal mines relied on a primitive alert system for imperceptible dangers: the bright canary bird. Miners toted the caged birds into the depths of the earth to serve as early warnings against poisonous and potentially fatal gas leaks. If the tiny birds suddenly slumped in their cages due to the presence of odorless and colorless carbon monoxide, miners would beat a hasty retreat to safer, cleaner air. Today the expression “canary in the coal mine” refers to early warning sentinels, those early casualties most susceptible to lurking and imperceptible dangers. But the use of animal sentinels has extended far beyond the limited usefulness of a single caged canary, and public health officials now pay close attention to the collective health of animal populations in close proximity to human settlements for the purpose of monitoring nascent challenges to public health and to detect environmental and infectious threats to man. Trypanosoma cruzi parasites, the causative agent of Chagas disease, in the hindgut of a triatomine bug. Triatomines are also known as kissing bugs for their tendency to blood feed near mouths. Image: CB Beard et al. (2003) Chagas Disease in a Domestic Transmission Cycle in Southern Texas, USA. EID. 9(1). There are many examples of this kind of phenomenon: Anthrax infected cattle. West Nile Virus in crows. Mesothelioma in German shepherds. The detection of animals sickened by infectious organisms and chemicals in our shared environments can provide clues that allow us to shore up our defenses or even to thwart germinating outbreaks that affect all animals, including us primates. As such, animal sentinels are an important but underappreciated, not to mention frequently underutilized, public health tool. Chagas disease is a poignant example of an infection posing a threat to both humans and animals. 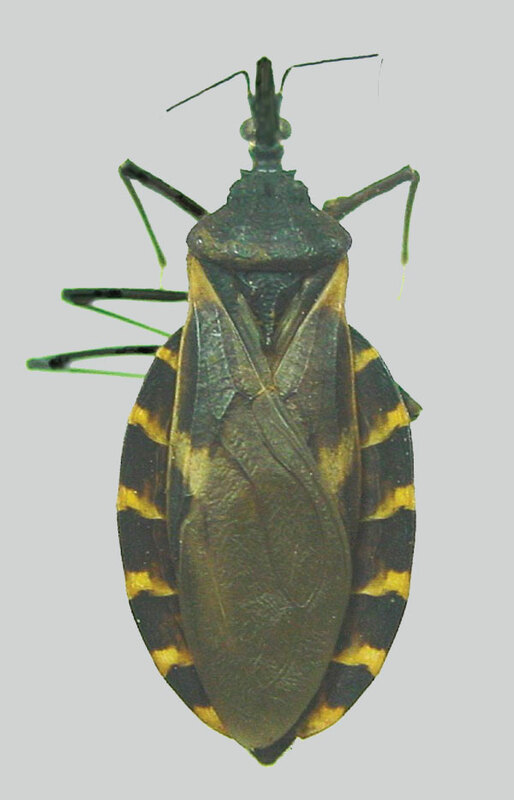 Caused by the protozoan parasite Trypanosoma cruzi and transmitted by the bite of the blood sucking triatomine insect, Chagas disease causes a chronic infection of the heart, nervous system and digestive system. It is a major cause of morbidity in 30% of infected individuals, causing progressive and widespread systemic damage through inflammation, cell death, and fibrosis throughout vital organs. Besides being agonizing, fatal, and difficult to treat, it is also incredibly costly for both individuals and governments. For these reasons, in 2012 it was dubbed “the new HIV/AIDS of the Americas” (1). Historically, Chagas disease has largely been geographically confined to Central and South America. However, the parasite is no stranger to border-crossing, and cases of Chagas have been found in recent years in Australia, Japan, the United States, and throughout Europe. The disease’s epidemiology has changed drastically due in part to the facts of globalization and increased immigration. Specifically, the freer movement of migrants from endemic regions in the modern age has permitted the easier movement of the disease as well. For countries that harbor populations of triatomine insects eager to feast on the parasite-filled blood of Chagas-infected individuals, there exists the striking danger of an endemic reservoir of the disease forming within a new country’s borders, profoundly altering the landscape of disease and public health. Triatomine insect occurrence by state. Image: CDC. Click for source. This is precisely the situation that has been emerging in the southern United States. But understanding the full extent of the problem, encompassing such diverse questions as just how many triatomine bugs have been infected and whether Chagas is actually being transmitted, can be difficult. There are many obstacles to an accurate assessment of the situation, including “poor access of immigrants to healthcare systems, lack of universal screening programs in many nonendemic countries with large Latin American immigrant populations, lack of awareness amongst healthcare providers of the emerging risk of Chagas disease,” and, to put it bluntly, a lack of research and funding (2). Determining whether local transmission is occurring in the United States is key in assessing and quantifying the threat that this disease-spreading dream team, the triatomine bug and Chagas parasite, poses to public health in this region. The threat and difficulty are amplified by the fact that Chagas disease not only knows no borders, but also appears to care little about which animals it infects. Canine cases of Chagas disease have been increasing in Texas, to the point of emerging as a crisis affecting thousands of dogs. Dogs may be a particularly susceptible population to infection, the canaries-in-the-gold-mine of Chagas, so to speak, as they are outdoor creatures that are commonly exposed to triatomines: a 2009 study characterizing the distribution and level of Chagas infection in triatomine insects in Texas found that the great majority (68%) of these bugs were skulking in and around homes and a substantial number (18%) were found around dog kennels (3). Of the latter, more than half of the canines tested were found positive for infection with T. cruzi. Taking advantage of the innate relationship between human and animal health, researchers in Texas have studied man’s best friend to determine whether Chagas disease is being transmitted locally (4). From May to August of 2013, blood samples from 205 dogs were collected from seven different shelters representing various ecological regions found throughout Texas, including deserts, savannas, prairies, and woodlands. At all shelters, canines were infected with the parasite. The prevalence of infection ranged from 6.7% to 13.8%. The locations of the tested canine shelters in the study. Image: TD Tenney (2014) Shelter Dogs as Sentinels for Trypanosoma cruzi, Transmission across Texas. EID 20(8). The background of these dogs – their history of ownership and scope of regional travel – was unknown, complicating the level of insight that this finding provides. However, the researchers noted that “the presence of seropositive dogs across all sampled regions, age classes, breed groups, and canine origins suggests that ecologic requirements for parasite transmission to dogs are not constrained to focal areas or particular breed groups. Although the travel histories of dogs in our study are unknown, the presence of antibodies in dogs across all age classes, including young dogs that are less likely to have traveled, suggests local exposure” (4). Ignoring our lapdogs and other household pups for now, this population of stray animals is more likely to have had exposure to the outdoors and, consequently, to feeding triatomine bugs. Though these canines cannot pass the parasite onto humans – the infection is transmitted only by the bite of a triatomine bug or through infected blood donations – the study indicates that this is a uniquely susceptible population that easily lends itself to use as a sentinel population for risk to humans of Chagas transmission and infection. What does this study mean for Texans? How does our understanding of Chagas in coonhounds affect our understanding of Chagas in cowboys, Cajuns and Chicanos? Similar studies south of the border found a direct correlation between Chagas infection in Mexican canines with that of their human counterparts. In two regions of Mexico, the prevalence of infection in both canines and humans ranged from 17.5% to 21% and highlighted locations in need of targeted public health surveillance, vector control, and education (4). Determining whether this same correlation exists between Americans and dogs should be the next research step. The linkages between human and animal health are real, whether existing in farm-dwelling livestock, flying fowl, or housebound pets. Using animals to detect emerging threats to human health is an inspired technique for the prevention and management of disease outbreaks. This research study uses the same time-honored canary-in-a-coal mine technique to expose the widespread prevalence of Chagas-infected triatomine insects, highlighting the seriousness of the introduction of this exotic parasite in the southern United States. Shelter dogs in Texas provide a “spatial index of Chagas disease risk across the landscape,” alerting public health officials to the pervasive threat that triatomine insects pose to Texans (1). But many questions remain: if roughly 10% of canines throughout Texas are infected, how many Texans are? Considering the chronic nature of this disease, what does this mean for public health a few decades from now? Only one thing is certain: the extent of Chagas infection in canines throughout geographically disparate regions of Texas points to the pressing need of both triatomine vector control and active epidemiological surveillance to control further spread of this disease. On canines and the infections they tote around: Man’s Best Friend, the Turkana Tribe & a Gruesome Parasite. One Parasite’s Rise Amidst the Soviet Union’s Decline. 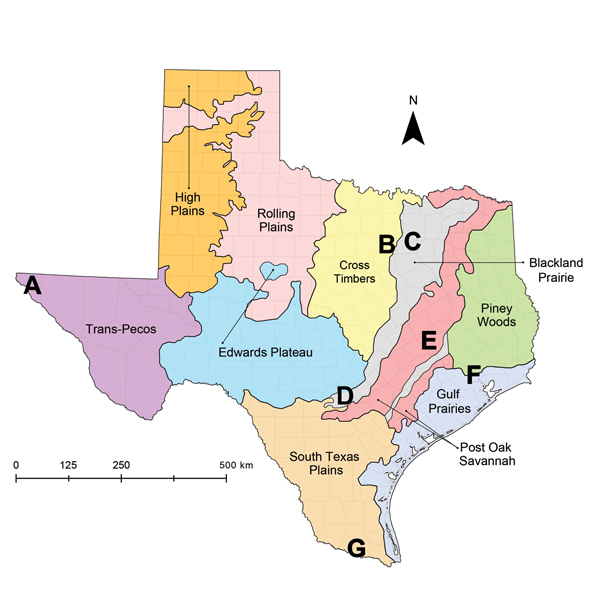 On Texas: A Mess in Texas: What Happened in Dallas with West Nile Virus? From PetMD, a clinical description of Chagas disease in canines. Want to learn more about animal sentinels? Visit the Canary Database to learn more and find research studies. And to learn more about mine-dwelling canaries, check out this i09 article.